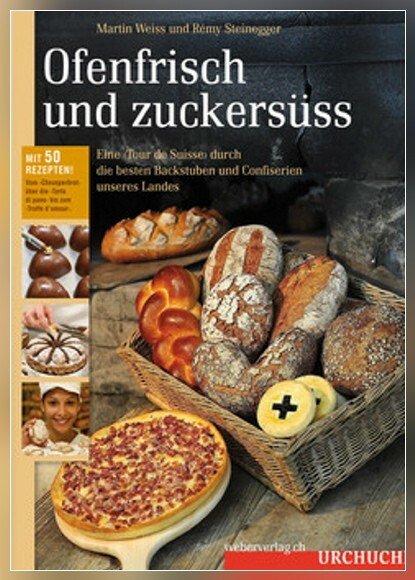 which shows a 'Tour de Suisse' visiting 50 of the best bakeries and confectioneries all across Switzerland. They told us lovely stories, many of them are working in this domain since generations - and they left us recipes which are reproduced in our book! Martin Weiss, a brilliant person and writer, who became a good friend! Bernhard Aebersold, the heart of the project! Bernhard died shortly after the book has been published ... we are very sad and feel with his family! Lukas Imseng, the baker from Saas-Fee, who had the idea for this book! Have a look at the editor's website!